Pulped Fiction – our brand new ebook sampler – FREE! 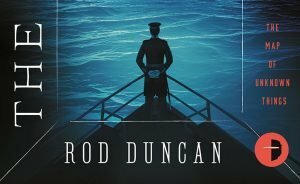 We know you love it free and pulpy, so we’ve put together the opening four chapters from four of our finest, pulpiest reads. It’s the best of matinee-style adventure, bloody exploitation thrills filled with battered heroes and villainous bad guys! Oh yeah, and it’s FREE! Pulped Fiction is available from all the usual ebook sources (like Amazon, B&N Nook, iTunes and Play), or you can download it from us right here. Read it, love it, buy the complete books! 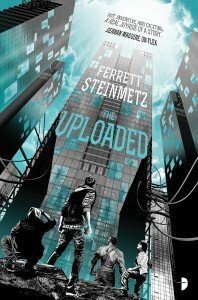 Ever wondered what would happen if we uploaded everyone’s minds at the point of death? Need another hero? Meet Lincoln Suh and the Outriders – a crack team of near-immortal super soldiers engaged in spec ops in outer space! 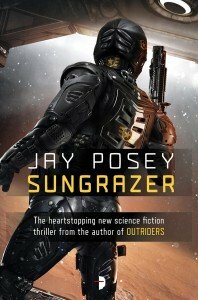 You’ll love Sungrazer, the standalone sequel to Jay Posey’s Outriders, and you can read the first two chapters on us, right now. The Broken Ones: Pre-Order for SWAG! It’s only 3 months until The Broken Ones, the prequel to the beautiful Malediction trilogy, arrives and we are very excited to go back in time to learn all about Marc and Pénélope’s story! To celebrate its release, super lovely author Danielle L. Jensen is helping thank everyone who pre-orders the novel by offering up some super swanky swag packs*! 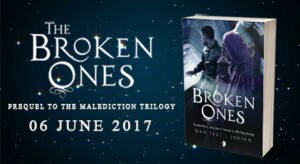 A couple of months ago we announced that Danielle L. Jensen hadn’t quite finished with her Malediction trilogy and is returning to the series with a prequel, The Broken Ones, focusing on the story of much-loved character Marc and wife Pénélope. We’re well on the way to its June publication date now and, as such, it’s time to reveal the cover! Our thanks to Steve Stone for yet another beautiful image, which will look absolutely wonderful next to those of Stolen Songbird, Hidden Huntress and Warrior Witch. The countdown is on for the release of Danielle L. Jensen‘s Hidden Huntress, the eagerly anticipated sequel to Stolen Songbird. With only a few days to go, we’re celebrating with a WORLDWIDE giveaway for Hidden Huntress. For your chance to win 1 of 10 copies, follow the below link to Goodreads. Good luck! Mike Underwood, Sales & Marketing-o-Tron here with some cool news. 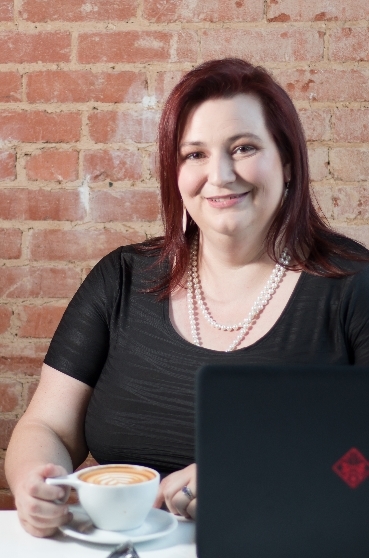 I love conventions – they’re a chance to bring together authors to discuss interesting, important, and/or irreverent topics in writing and cross-pollinate ideas and experiences. Not to mention the amazing, off-the-wall conversations that happen in the hallways, restaurants, and the bars. Especially the bars. 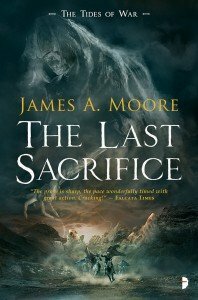 Back in February Andy Remic offered a free Wolf Pack to reviewers and bloggers who had reviewed his fantastic fantasy novel The Iron Wolves. The pack included a lollypop, five bookmarks, a signed photo and an Iron Wolves t-shirt! (Modelled very impressively at the time by Mr Remic himself). Reviewers: Get Your FREE Wolf Pack! The Wolf Pack (grr) is now ready to (run with the pack/howl at the moon/scratch at the fleas etc). 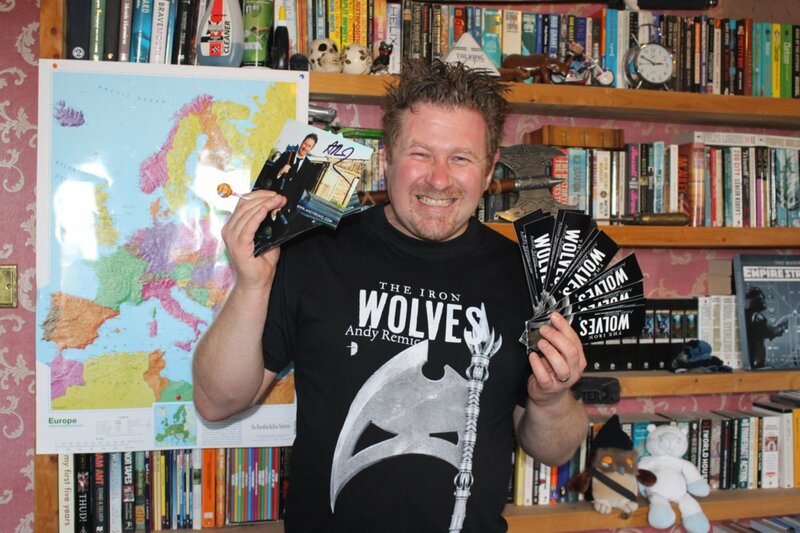 If you’re a blogger or reviewer who has reviewed Andy Remic‘s brand new fantasy novel, The Iron Wolves, you are eligible for a FREE Wolf Pack (grr) which comprises a t-shirt* (sizes L and XL), five bookmarks, a signed photograph of the author and a lollypop. There are limited stocks of t-shirts though, so please email Andy ASAP at andyremic [at] outlook.com linking to your review. Total Film eBook Promo: Get Ramez Naam’s Nexus for FREE! 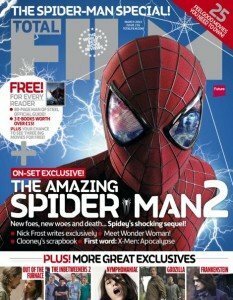 January’s issue of Total Film not only features on-set exclusives for Spider-Man 2, interviews with Colin Farrell, and reviews of The Hobbit: The Desolation of Smaug but excitedly, there is a FREE eBook of Ramez Naam‘s Nexus for every reader!